Eastbridge Books, an imprint of Camphor Press, is pleased to announce the publication of its Dungan-English Dictionary, by Olli Salmi. Dungan is interesting for Chinese studies because it has an alphabetic orthography. It is also important because it shows very little influence from the Chinese literary language. It has preserved original features of the local dialects of about 150 years ago. It also has loans from Persian and Arabic, from Turkic languages, and from Russian. The Dungans are Muslims who fled China for Russian territory in Central Asia after the failure of the Dungan Revolt (1862-1877). Their language, which UNESCO classifies as “definitely endangered,” is related to northwestern Mandarin Chinese. Dungan has two main dialects: the so-called Gansu dialect, which is similar to the Muslim Chinese communal dialects in the southern part of the province of Xinjiang, and the Shaanxi dialect, which has more in common with the dialects of southern Shaanxi around Xi’an. In the Soviet Union an alphabetic orthography and a literary language was developed for the Gansu dialect. Although Dungan is now spoken primarily outside of China and employs an alphabet rather than Chinese characters, it is not really a peripheral dialect of Chinese. The Dungan Revolt started near Xi’an, Shaanxi, the cradle of the Chinese civilization and a frequent site of the capital of the country. (This is where the terracotta soldiers were buried.) The speakers that gave rise to Gansu Dungan came from a place west of the Shaanxi speakers, but still a totally Chinese-speaking area. This dictionary is based on words and examples collected from Dungan-language newspapers and books published before the fall of the Soviet Union. Special attention has been paid to not only vocabulary (9,945 headwords) but also grammatical features; the dictionary may even provide material for the study of syntax. An effort has been made to find characters for Dungan words in dialect dictionaries published in China. This work is available through Camphor Press and Amazon. Note: I am part of Camphor Press and so stand to make a small amount of money from sales of this book. But that’s not why I’m recommending it to everyone interested in Dungan. Another back issue of Sino-Platonic Papers has been released, this one of particular relevance to the themes of this site: What Is a Chinese “Dialect/Topolect”? Reflections on Some Key Sino-English Linguistic Terms (1991), by Professor Victor H. Mair of the University of Pennsylvania’s Department of East Asian Languages and Civilizations. Words like fangyan, putonghua, Hanyu, Guoyu, and Zhongwen have been the source of considerable perplexity and dissension among students of Chinese language(s) in recent years. The controversies they engender are compounded enormously when attempts are made to render these terms into English and other Western languages. Unfortunate arguments have erupted, for example, over whether Taiwanese is a Chinese language or a Chinese dialect. In an attempt to bring some degree of clarity and harmony to the demonstrably international fields of Sino-Tibetan and Chinese linguistics, this article examines these and related terms from both historical and semantic perspectives. By being careful to understand precisely what these words have meant to whom and during which period of time, needlessly explosive situations may be defused and, an added benefit, perhaps the beginnings of a new classification scheme for Chinese language(s) may be achieved. As an initial step in the right direction, the author proposes the adoption of “topolect” as an exact, neutral translation of fangyan. 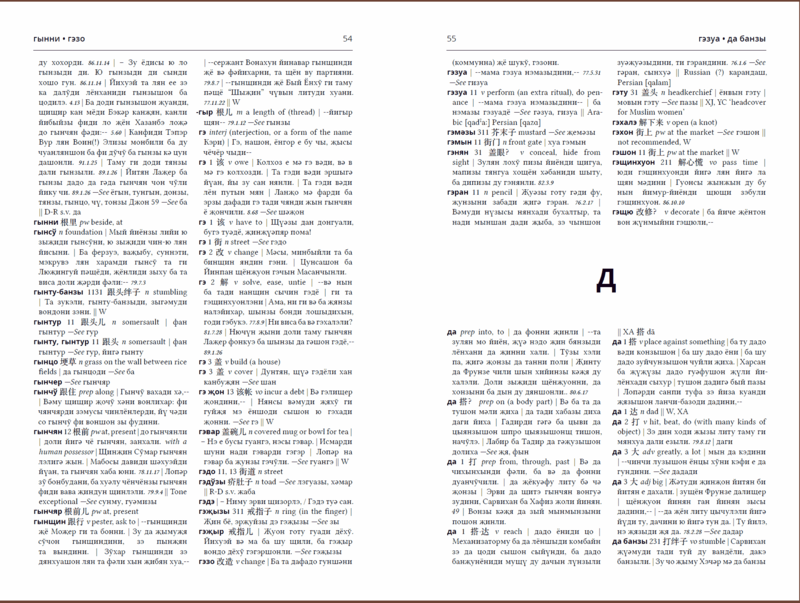 The entire text is now online as a 2.2 MB PDF: What Is a Chinese “Dialect/Topolect”? Reflections on Some Key Sino-English Linguistic Terms.